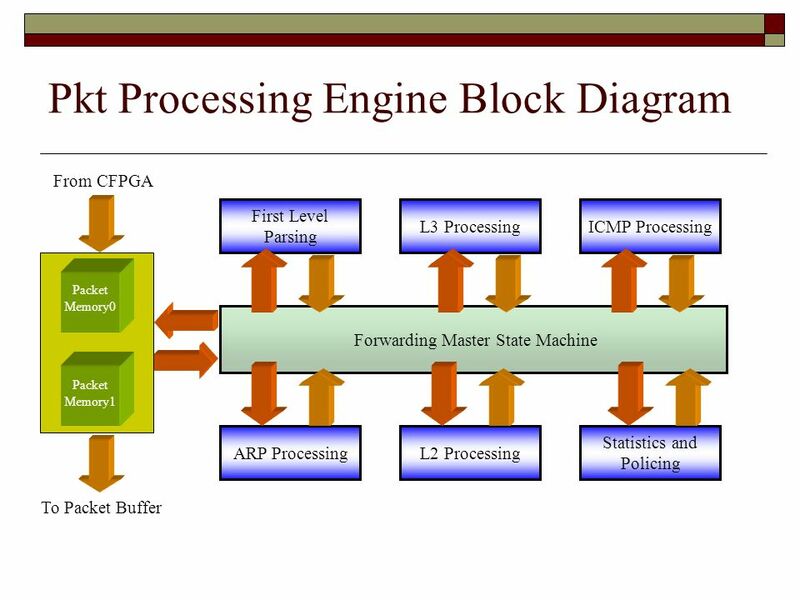 13 L3 Processing Engine  Parsing of the L3 Information: Src/Dest Addr, Protocol Type, Checksum, Length, TTL  Longest Prefix Match Engine Mask Bits to represent the prefix. Lookup Key is Dest Addr Associated Info Table (AIT) Indexed using the entry hit AIT provides Destination Port Map, Destination L2 Addr, Statistics Bucket Index Request/Done scheme to allow for expandability (e.g. 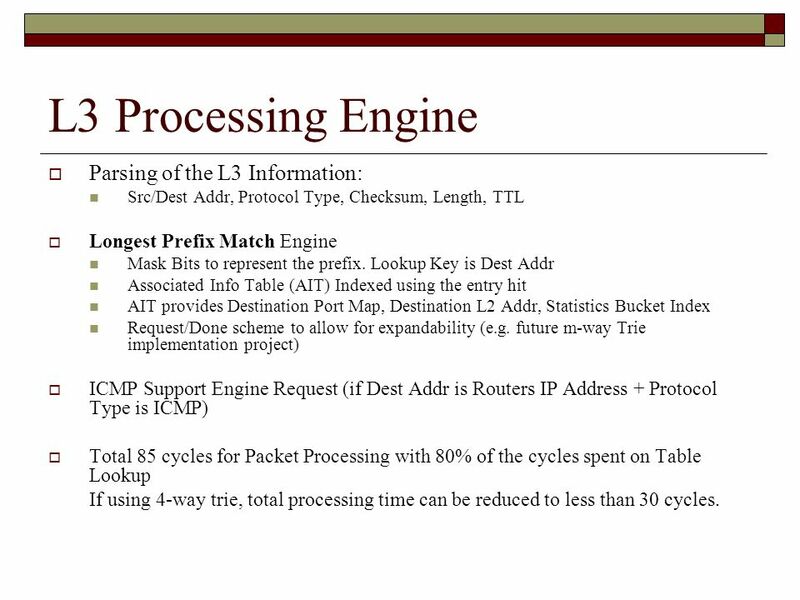 future m-way Trie implementation project)  ICMP Support Engine Request (if Dest Addr is Routers IP Address + Protocol Type is ICMP)  Total 85 cycles for Packet Processing with 80% of the cycles spent on Table Lookup If using 4-way trie, total processing time can be reduced to less than 30 cycles. 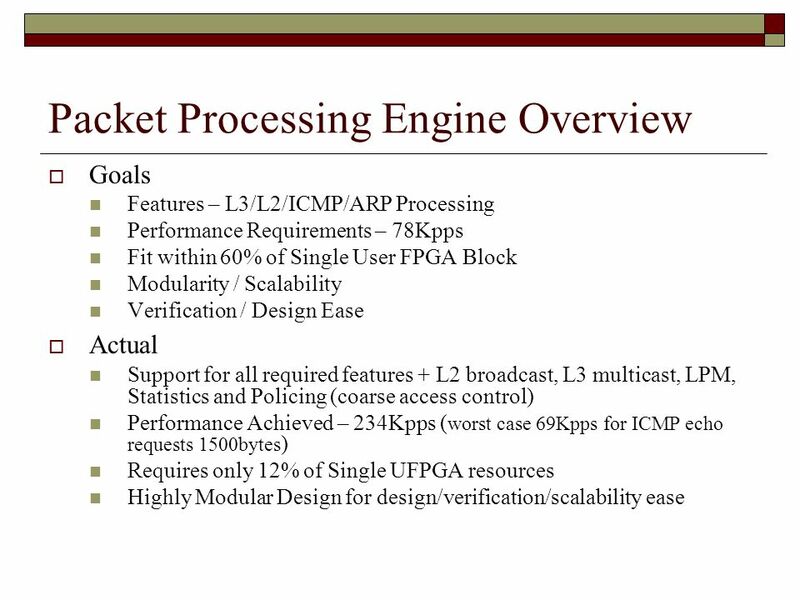 14 L2 Processing Engine  If there is any processing problems with ARP, ICMP, and/or L3, then L2 switching is done  Exact Match Engine Re-use of the LPM match engine but with Mask Bits set to all 1’s. Associated Info Table (AIT) Indexed using the entry hit AIT provides Destination Port Map, and Statistics Bucket Index Request/Done scheme to allow for expandability (e.g. 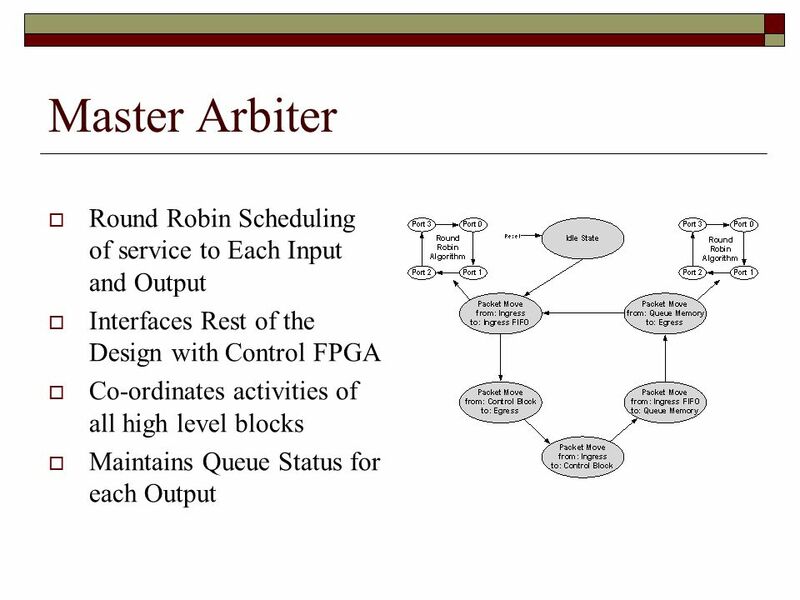 future Hash implementation project)  Learning Engine removed because of Switch/Router Hardware Verification problems (HP Switch bug)  Total 76 cycles for Packet Processing with over 80% of the cycles spent on Table Lookup If using Hashing Function, total processing time can be reduced to less than 20 cycles. 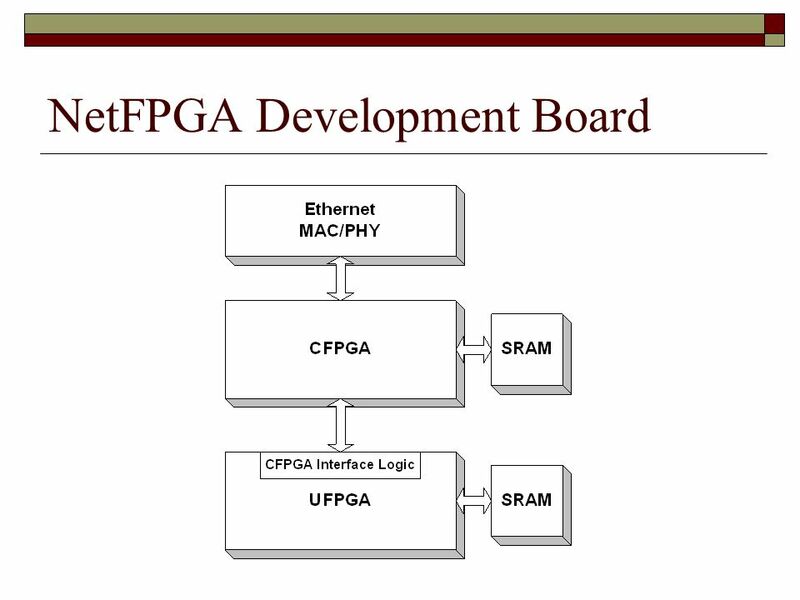 Download ppt "NetFPGA Project: 4-Port Layer 2/3 Switch Ankur Singla Gene Juknevicius"
IP Router Architectures. 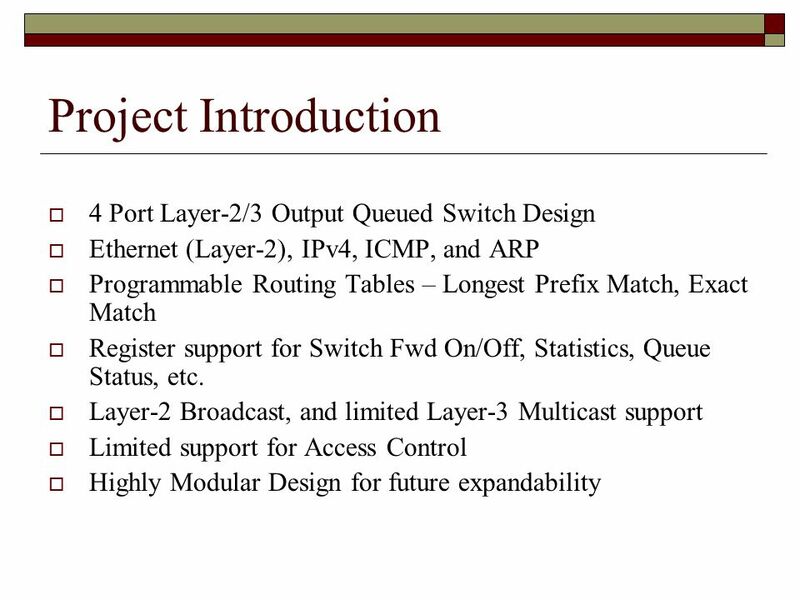 Outline Basic IP Router Functionalities IP Router Architectures. 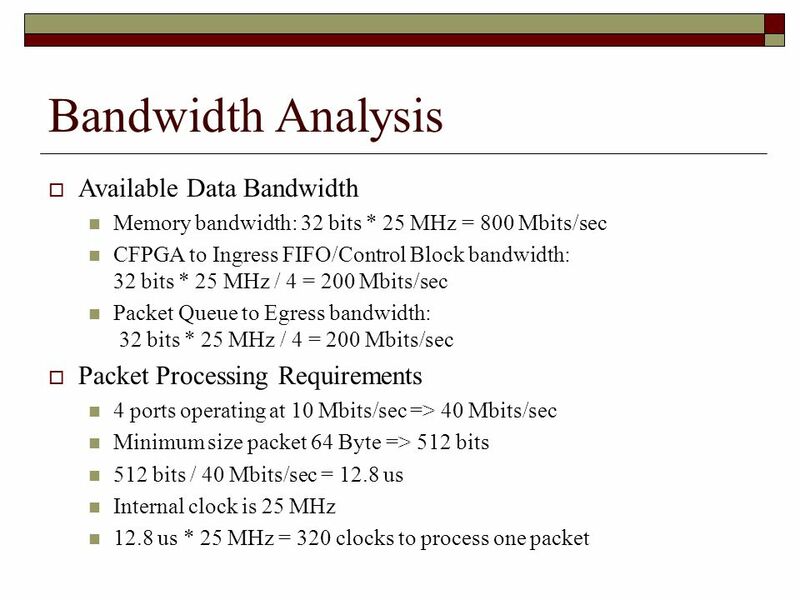 A Search Memory Substrate for High Throughput and Low Power Packet Processing Sangyeun Cho, Michel Hanna and Rami Melhem Dept. of Computer Science University. 1 IP Forwarding Relates to Lab 3. 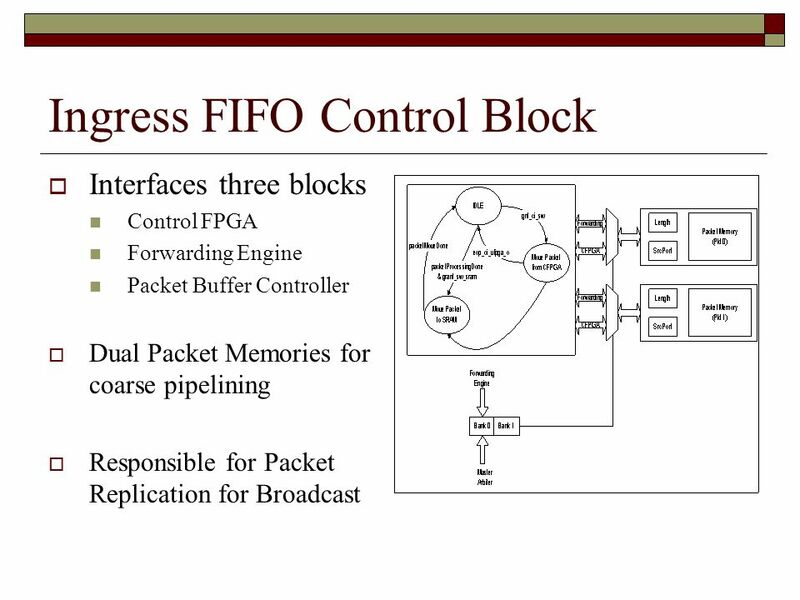 Covers the principles of end-to-end datagram delivery in IP networks. 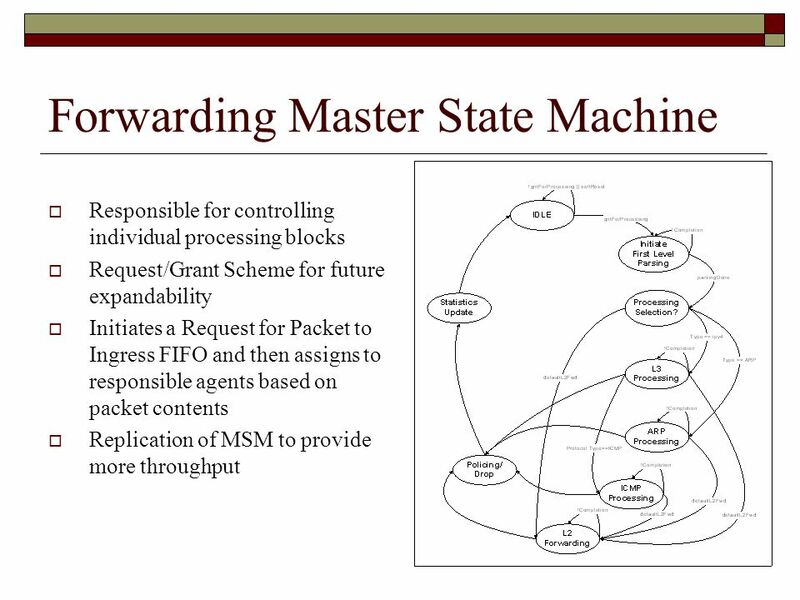 IP Forwarding Relates to Lab 3. Berlin – November 10th, 2011 NetFPGA Programmable Networking for High-Speed Network Prototypes, Research and Teaching Presented by: Andrew W. Moore (University. A Scalable and Reconfigurable Search Memory Substrate for High Throughput Packet Processing Sangyeun Cho and Rami Melhem Dept. of Computer Science University. 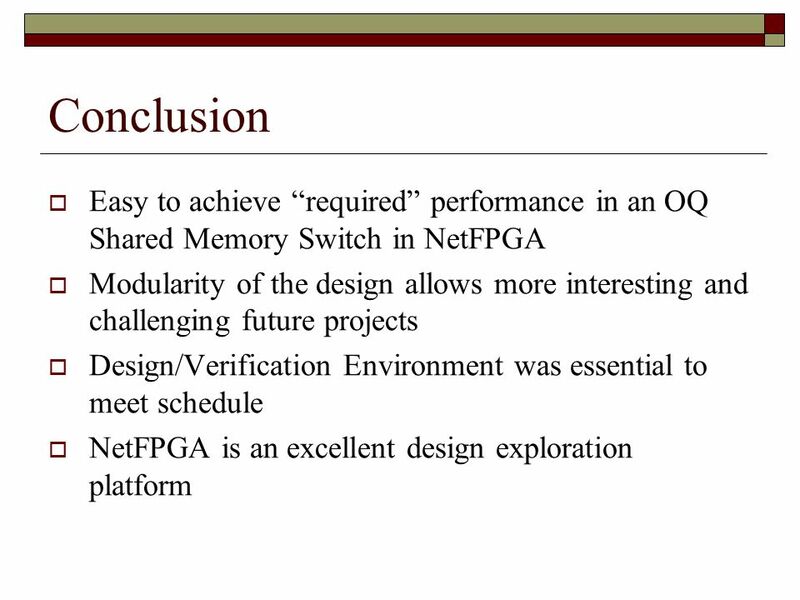 Network Layer IPv6 Slides were original prepared by Dr. Tatsuya Suda. Bio Michel Hanna M.S. in E.E., Cairo University, Egypt B.S. in E.E., Cairo University at Fayoum, Egypt Currently is a Ph.D. Student in Computer Engineering. TCP/IP Protocol Suite 1 Chapter 7 Upon completion you will be able to: ARP and RARP Understand the need for ARP Understand the cases in which ARP is used. 10 - Network Layer. Network layer r transport segment from sending to receiving host r on sending side encapsulates segments into datagrams r on rcving. t Popularity of the Internet t Provides universal interconnection between individual groups that use different hardware suited for their needs t Based. 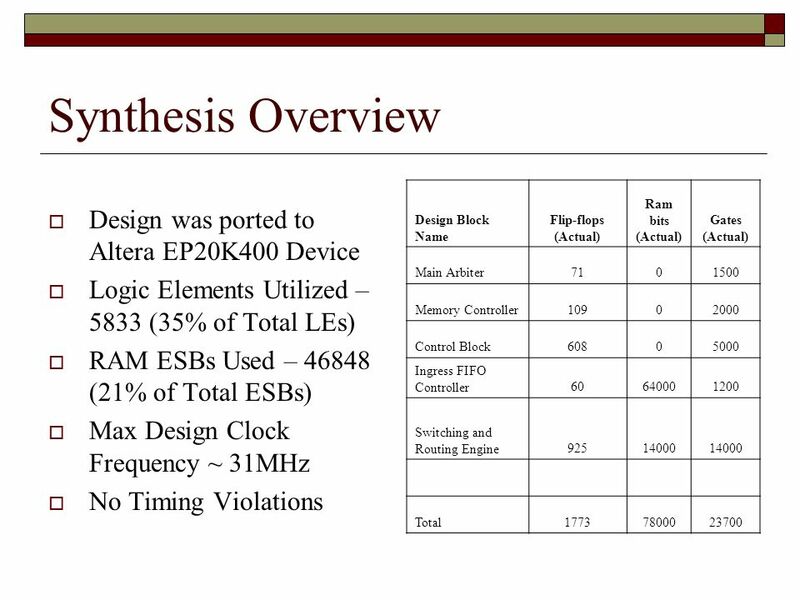 EE 122: Router Design Kevin Lai September 25, 2002. 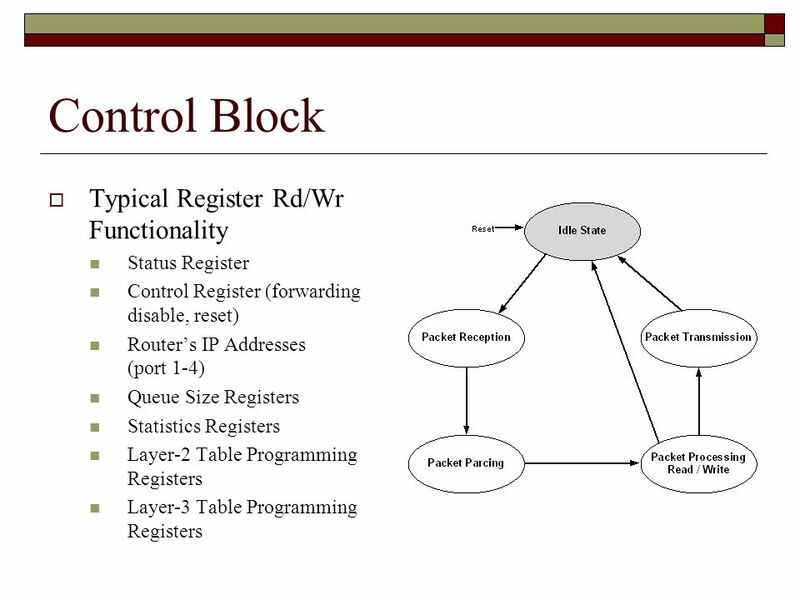 CS 268: Lecture 12 (Router Design) Ion Stoica March 18, 2002. 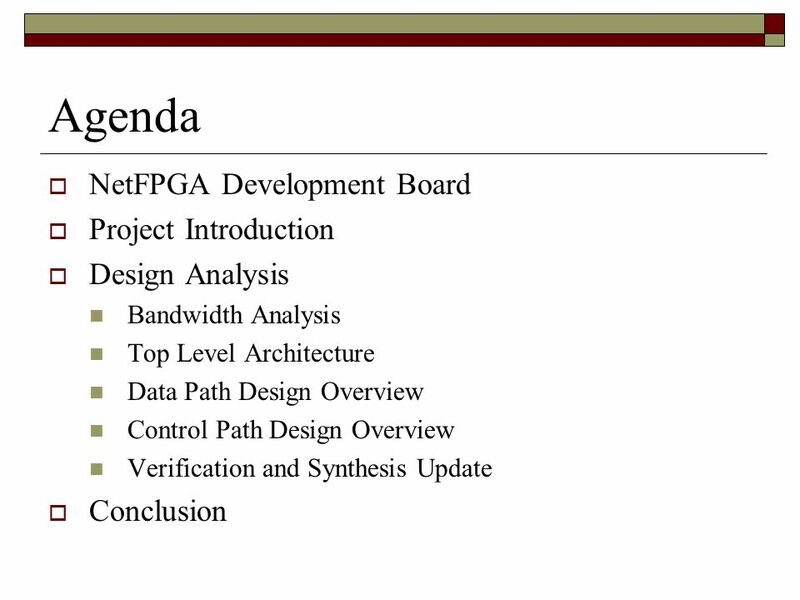 Application of NetFPGA in Network Security Hao Chen 2/25/2011. Network Layer4-1 Router Architecture Overview Two key router functions: r run routing algorithms/protocol (RIP, OSPF, BGP) r switching datagrams from incoming. 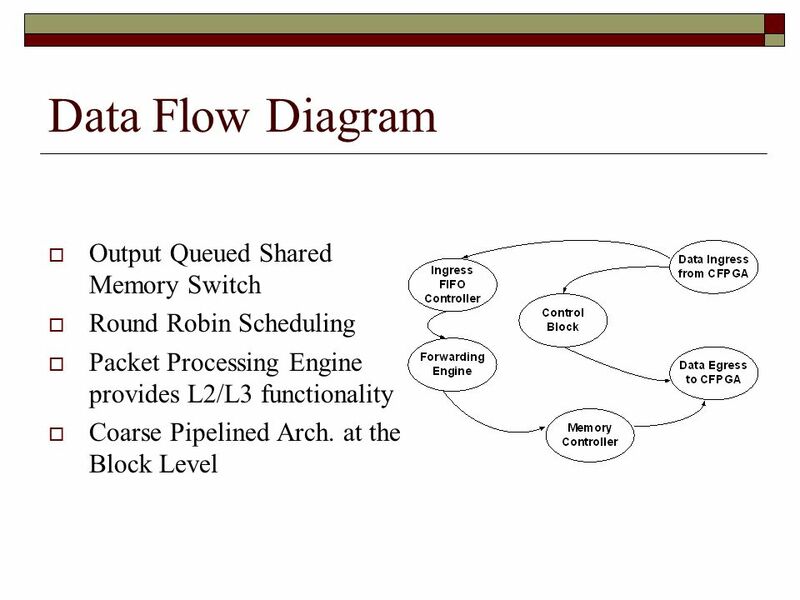 ECE 526 – Network Processing Systems Design IXP XScale and Microengines Chapter 18 & 19: D. E. Comer. 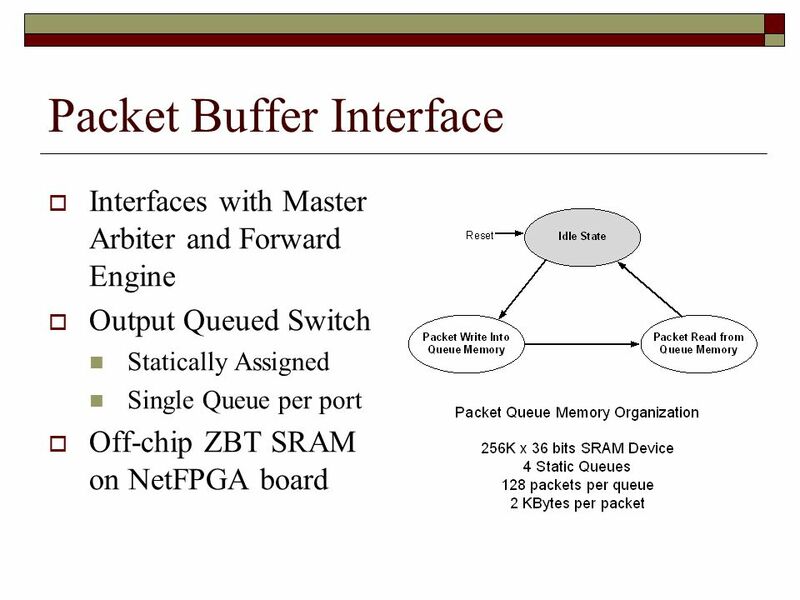 A 50-Gb/s IP Router Authors: Craig Partridge et al. 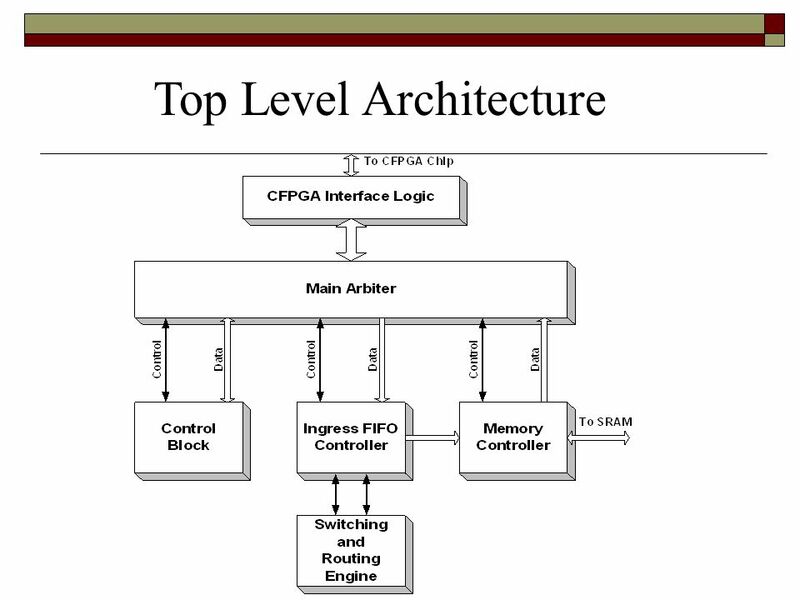 IEEE/ACM TON June 1998 Presenter: Srinivas R. Avasarala CS Dept., Purdue University.